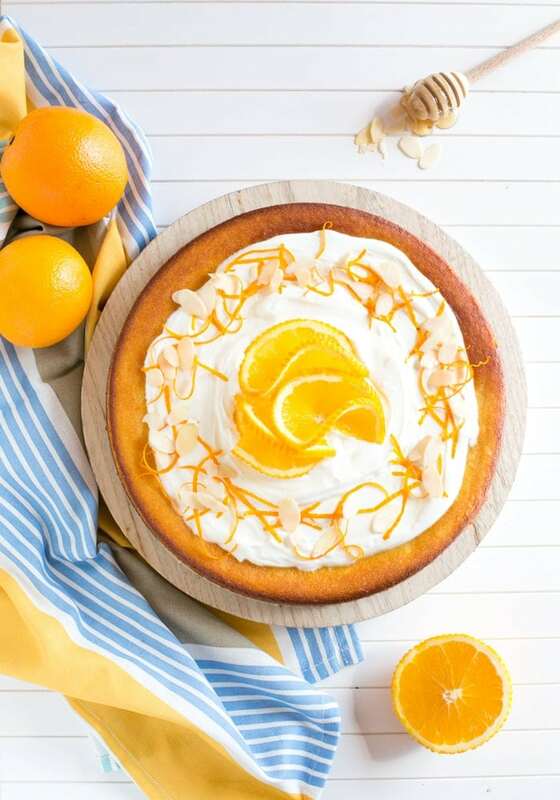 This Flourless Orange Cake is incredibly light and moist - It's also gluten-free and dairy-free, making it the perfect allergy-friendly dessert! Put the oranges in a large sauce pan and cover with cold water. Cover with a lid and bring to the boil. Reduce the heat to low, and cook for 2 hours, adding extra water if necessary. Drain the oranges, and when cool, cut each in half and remove the pips. Transfer the oranges in a food processor and pulse until creamy but still a bit chunky. Preheat oven to 180C/370F and arrange a rack in the middle shelf. Grease and line with parchment paper a 8-inch spring-form pan, and set aside. In a large bowl, beat the eggs until pale and lightly foamy. Add the sugar, almond flour, and baking powder to the eggs, and mix until combined. Finally, fold in chopped oranges and mix until combined. Pour batter into the previously prepared cake pan. Bake for 40 minutes, then cover loosely with foil, and continue to bake for another 10min or until a toothpick inserted into the center comes out clean. Remove the cake from the oven and allow to cool for 10 min. In the meantime prepare the cream. Simply mix together yogurt, orange zest and honey, adding some extra sugar to make it sweeter if you like. Refrigerate until ready to use. Spread the cream over the top of the cake, decorate with extra orange zest and an extra drizzle of honey. Serve immediately, and store in an air-tight container in the fridge for up to 3 days.